The May 2017 operational results of Russia’s flag carrier Aeroflot indicates a 12.4% year-on-year increase in passenger traffic to 2.687 million. 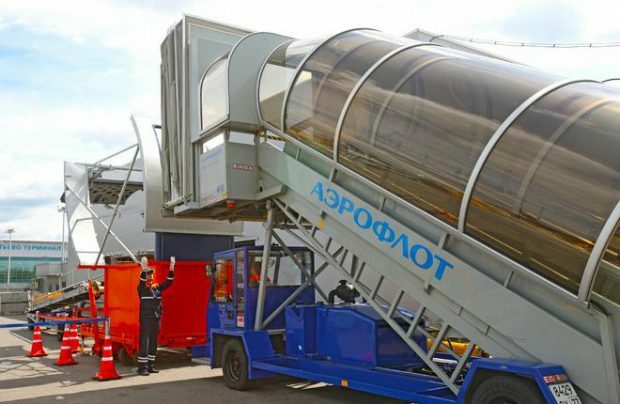 The airline’s parent Aeroflot Group, which also includes Rossiya Airlines, Pobeda, and Aurora, demonstrated a slighty higher growth overall at 15.8%. The four carriers transported a combined total of 4.107 million passengers in May. Both Aeroflot Group and the flag carrier saw the traffic growth rate slow down compared to April’s 20.9% and 15.3%, respectively. In line with the trend observed in the past several months, Aeroflot and its parent company on the whole reported higher growth on international routes than on domestic ones. Aeroflot’s international traffic stood at 1.388 million passengers, or 18.8% up year-on-year. The group’s international traffic amounted to 1.841 million passengers, up 26.3% year-on-year. The load factor increased 2.3 percentage points to 77.9% for Aeroflot and 3.2 percentage points to 79.6% for the entire group. Aeroflot’s domestic traffic grew at a more moderate pace of 6.3% to 1.3 million passengers. The entire group carried 2.266 million passengers domestically, up 8.4% on May 2016. The load factor decreased 0.2 p.p. (to 83%) for the carrier and 0.7 p.p. (to 80%) for the group. The faster growth on international routes is explained by continuing stabilization of the national currency’s exchange rate and also by the ongoing expansion of the group’s route network, including Pobeda’s low-cost routes. Rossiya also keeps expanding its charter program using widebody aircraft previously operated by Transaero. Aeroflot’s double-digit growth figures are still lagging behind the industry’s average. The Russian commercial air travel market grew 25.9% year-on-year in May. One of the factors behind the surge is a massive increase in airlines’ carrying capacity following dramatic crisis-induced cuts.